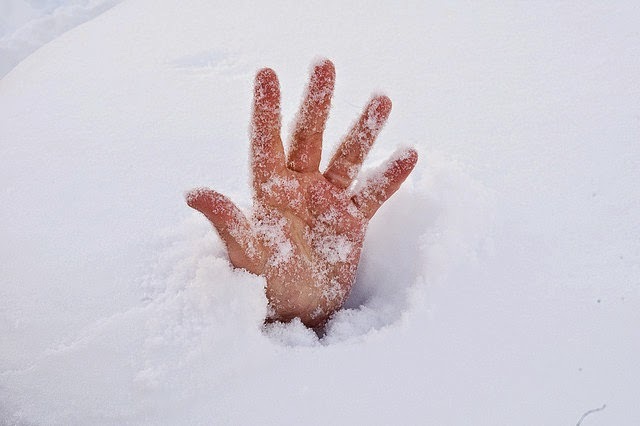 Dr. Christopher Bray MD PhD: Cold Hands / Cold Feet? The saying goes "cold hands, warm heart," but having colds hands and feet may indicate nutritional deficiencies. Having cold-to-the-touch extremities is not dangerous by itself, but inadequate vitamin and mineral intake may lead to other, more dangerous health problems. While you can tweak your diet to boost nutritional intake, consult your health care provider to ensure it is not a symptom of some other condition. Cold hands and feet may result from iron deficiency. The average adult requires 8 to 18 mg iron each day. Pregnant women require much more -- 27 mg. Consuming less than this inhibits the production of myoglobin and hemoglobin, blood components that deliver oxygen to various parts of the body. This triggers a condition known as anemia; one symptom of anemia is cold hands and feet. Eat liver, oysters and spinach to boost iron intake. Not getting enough vitamin B-12, also known as cobalamin, may contribute to a feeling of coldness in hands and feet. You need 2.4 mcg of this vitamin each day, although women need a bit more when pregnant -- 2.6 mcg. A deficiency causes anemia, a symptom of which is cold hands and feet. Add fish and shellfish, organ meats, eggs and dairy products to increase your intake of vitamin B-12. Including adequate amounts of magnesium in your diet treats cold hands and feet -- low extremity temperature may be related to a deficiency of this mineral. Adult women need up to 300 mg of magnesium daily, and men require up to 400 mg. You can get more magnesium in your meal plan by consuming tofu, whole grains, many types of nuts, baked potatoes, seaweed and green leafy vegetables.